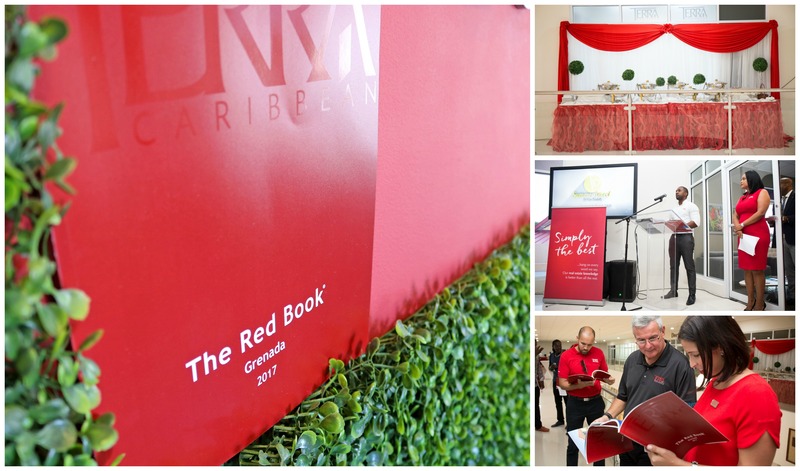 Terra Caribbean Grenada, the most well-established and thriving real estate provider on the island of Grenada, has released its first edition of The Red Book on August 1st, 2017. This publication, first published by the Barbados branch in 2008, is a comprehensive review and collation of information best suited for guiding and assisting clients in making informed decisions. The Grenada Red Book 2017 successfully highlights the various real estate infrastructures and opportunities that the isle of spice has to offer. These different segments includes: Family homes for sale in both the prime residential neighbourhoods and Grenadian classical neighbourhoods, developments which have been established through the introduction of the CBI programme, commercial and residential land availabilities, and commercial and residential sales and rentals. The Red Book also includes "The Pink Pages" which offers a more detailed examination of issues and topics affecting the real estate market. The contributors to the Pink Pages are a mixture of internal and external experts. These writers are drawn from a cross-section of businesses operating in Grenada including real estate, investment corporations, insurance, financial services, statutory and government establishments.